Puerto Ricans deserve a comprehensive examination that fully explores what caused the major failure of the communications infrastructure in Puerto Rico following Hurricane Maria, and that properly evaluates efforts to restore and improve service. The FCC must appoint an independent commission to examine the causes of this communications crisis and to develop recommendations on how the U.S. government can prevent such failures in the future. The ability to communicate is a life-and-death issue, especially during a disaster. It’s been approximately one year since Hurricane Maria struck Puerto Rico, and there’s still so much we don’t know about how our government and telecom companies prepared for and responded to the crisis. One year later we’re in the midst of another hurricane season, and communications networks in Puerto Rico have yet to fully recover. Parts of Puerto Rico still have intermittent internet and phone service.2 This is not what an “incredible, unsung success” (Trump’s words) looks like. 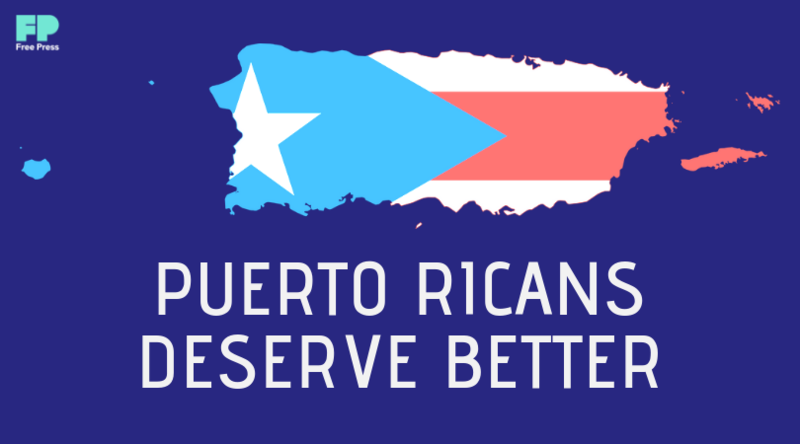 Puerto Ricans deserve better. We cannot allow this administration to forget or trivialize one of the deadliest hurricanes in U.S. history. Puerto Ricans deserve a comprehensive examination that fully explores why the communications infrastructure failed, and that properly evaluates efforts to restore and improve service. We’re calling on the FCC to appoint an independent commission to examine the causes of the communications failure in Puerto Rico following Hurricane Maria, and to develop recommendations on how the U.S. government can prevent such failures in the future. This is an outrage that we can never allow to happen again: Tell the FCC to do its job and fully investigate the causes of the communications crisis in Puerto Rico.